Career Options are many and has to be Choosen by an individual considering his interest. 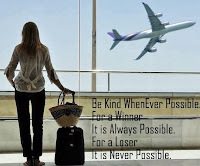 Certainly taking care to become an IAS,IFS , IPS or joining a private firm or a film industry depends upon your Confidence of getting Selected. More and more companies are looking to beef up their online presence to meet the growing demand amid a sharp increase in the number of people accessing the internet. It is critical for such companies to have the right person to lead the digital marketing team. "Companies across sectors are ramping up their digital marketing teams and the job profile is slowly but surely attracting more attention because it's seen as relatively stable and talent is as yet scarce," said Nicolas Dumoulin, regional director at Michael Page India. Since it's a nascent sector, relevant experience matters more than educational qualifications, said Dumoulin. SECTORS: Any sector that is consumer-related. E-commerce and retail firms, FMCG and SaaS companies are prime examples. PAY: Rs 30-60 lakh per annum, depending on experience and seniority of position. With IT companies ramping up their offerings and startups mushrooming in several sectors, product developers are expected to be in high demand in the coming year. "This job profile will particularly be much in demand, with new-age companies targeting the younger segments of the population by building mobile and app-friendly products," said Satya Sinha, CEO, Mancer Consulting. Engineering degrees in different disciplines coupled with a good understanding of software as well as adaptability to new technologies will stand would-be product developers in good stead. SECTORS: IT product companies and startups. PAY: About Rs 15 lakh for junior levels, going up to Rs 50 lakh for senior positions. The demand in the IT sector is expected to slow down a tad since the companies in this sector are not expected to grow as fast as they have in the previous years. However,manufacturing sector will see a higher demand for jobs, said AG Rao, group managing director at ManpowerGroup India. Skilled technicians in factories, mechanical engineers, electronic engineers and sector specific locomotive engineers will be in great demand in the coming year, he said. PAY: Rs 2.5-5 lakh for entry-level jobs, with higher salary for wider skill set. For instance, a locomotive engineer will command a higher entry level salary due to his special skill set. With theNarendra Modi government pushing 'Make in India' and 'Skill India' campaigns, both state-run and private companies are expected to go on a hiring spree. And with the implementation of the Seventh Pay Commission, salaries will go up, said Sachin Vohra, directorrecruitment IKYA Human Capital Solutions, a division of Quess Corp. In the e-commerce sector, young promoters are on the lookout for sales and marketing professionals, along with supply chain, distribution, delivery and logistical employees to add value to their companies. PAY: Rs 1-10 crore for CXO level employees, depending on the stock options that the companies offer. The soft skills required for these jobs include independence of thought, a high degree of emotional maturity and an ability to cope with crises. On the whole, a few sectors are expected to do extremely well in terms of employment generation. These include e-commerce, where jobs will range from sales and marketing to logistics. All e-commerce firms are on the lookout for talent across the board, said Navnit Singh, chairman and MD of India for Korn Ferry International. In 2016, entry-level jobs for data analysts are expected to be aplenty since companies across the board, from small firms to larger companies like Infosys are looking to expand their footprint in technology. These jobs will require mathematical and analytical skills. "We are planning to double our capacity to hire people for these roles at the entry level," said Sreenivasa Rao Yadavilli, managing director India at Futurestep, a recruitment solutions arm of Korn Ferry. "This is because mobile devices are increasing at a rapid pace and India will reach 400 million smart mobile devices soon and there are various areas around which data can be analysed," said Yadavilli. PAY: Rs 2-10 lakh for entry-level jobs and Rs 70 lakh to Rs 1 crore for senior positions. The soft skills required for this job will be comparable to any other senior level job, such as good spoken and written English and more collaborative skills than an IT professional would need. With mobile users set to cross 500-million mark by the end of 2015, according to a GSMA report, mobile product development engineers are expected to be in huge demand next year as software products and apps are being developed in droves. "What started as a trend in consumer technology is now being regarded as revolutionising software usability and, therefore, is being adopted in enterprise software product development as well," said Rituparna Chakraborty, senior VP at TeamLease Services. A BTech or a bachelor's degree in engineering, design or related fields is a prerequisite for such jobs. AutoCAD certification, detailed knowledge of applications development on Android/iOS will steer hopeful candidates smoothly along. SECTORS: IT consulting firms, e-commerce companies and companies building software products and mobile apps. PAY:Rs 12-18 lakh at the entry level; Rs 35-40 lakh at higher levels. What is the best career after graduation? What are Sowmya ML's career plans after graduation? What are the career options after graduating outside of India? What are the career options for someone after graduation with Honours Hindi ? What are the career options after post graduation in chemistry? What are the career scope after doing graduation in physics? What are the career options after graduation other than studies? What is the best career option after? What are the unconventional careers after graduation? 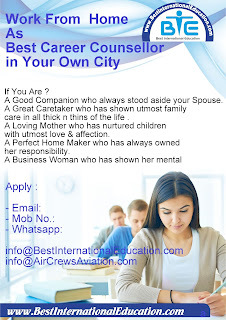 Who are the best career counsellor in delhi who can guide career after graduation?